Castello di Postignano is a picturesque medieval hillside village overlooking the dramatic and untouched landscape of the Nerina Valley in Umbria, an area rich in culture and history. Just half an hour from Spoleto, Foligno, Norcia, Cascia, Spello, Montefalco, Bevagna and the natural park Monti Sibillini, for centuries this traditional Italian castle town has enjoyed a strategic position within the region. Today it continues to fascinate and enchant its visitors, as it once did the famous and revered America architect and photographer Norman F. Carver Jr. who described it as ‘the archetype of Italian hill towns’. A brand new range of show apartments are now available for viewings and for overnight stays on a try-before-you-buy basis. The properties demonstrate the lengths which have been gone to in order to bring the properties within this historic borgo back to life. Furnished in a vareity of styles the properties are all unique in size and layout and show what living within a 1,000 year old borgo would be like. Castello di Postignano has successfully passed the 100 Quality Controls established by the "Certification Protocol of Historic Houses of Excellence" and is properly certified by the ITALIAN REGISTRY OF THE HISTORIC HOUSES OF EXCELLENCE. CONDITIONS - Vip Experience is reserved to clients of Residenze d’Epoca with VIP Coupon that will BOOK DIRECTLY at Castello di Postignano by 31/12/2019 in a superior room (NO base room). Castello di Postignano can guarantee Vip Experience for up to 2 guests (rooms) during the same period. Vip Experience does NOT include the costs of the stay. CONDIZIONI - The Vip Experience is reserved to Residenze d'Epoca clients in possession of a VIP Coupon, who will directly book a stay in a double superior room (NOT a standard room) at Castello di Postignano within 31/12/2019. Castello di Postignano will guarantee the Vip Experience to maximum two clients (rooms) in the same period. The Vip Experience doesn't include the cost of the stay. We have sent you a confirmation. We'll advice you when a "VIP Coupon - Complimentary" will be available (FREE for you, offered by Castello di Postignano). 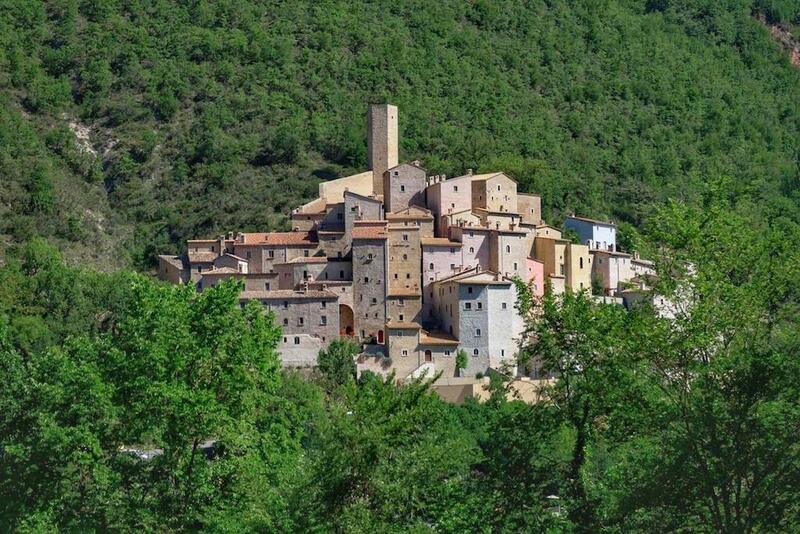 The phone number of Castello di Postignano is +39 0743788911 or 0743788005. The fax number is 0743850219.